The broadcast world is a volatile place at the best of times, but the last week in comparison has been seismic. The ever shifting plates of the broadcast world mean that we often see shake ups, departures and arrivals, but none more so than the current climate that has seen a vast number of changes as broadcasters jostle and cajole to be top dog in the fight for viewership. 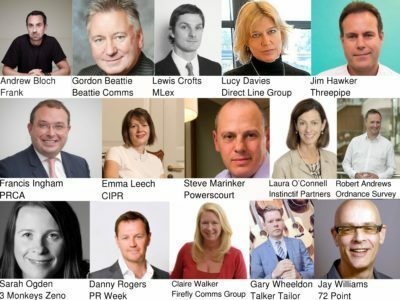 This summer has seen a number of high-profile presenters and executives leave their roles for pastures new, some on good terms, others less so. But the past week has seen two of the most notable departures that could well shape not only the immediate short-term futures but also longer term objectives of two of the countries largest broadcasters, BBC and ITV. The week started off with the dust still settling from Robert Peston’s shock departure from the BBC as their Economics Editor after being poached by ITV to become their political editor and present his own political interview programme, Peston on Sunday. The arrival is the latest development in high profile changes at ITV, that has seen Tom Bradby become the main News at Ten anchor and Piers Morgan joining Good Morning Britain on a permanent basis. 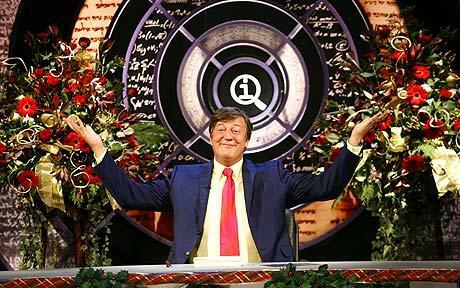 With the BBC still reeling from Robert Peston’s departure, another shock departure was announced. 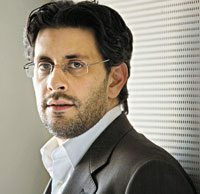 Danny Cohen the BBC’s director of television has resigned from his £327,000-a-year position, after an eight year stay with the company. It’s expected that Mr Cohen will leave his post after completing the BBC’s licence fee settlement negotiations later next month. His departure comes just months after the infamous ‘luvvies letter’ scandal that Cohen reportedly orchestrated. This saw an open letter written and rumoured lobbying of Prime Minister David Cameron by a host of celebrities, in relation to government plans to reform the BBC being potentially damaging to Britain’s image. It is believed Cohen wanted to quit to give the BBC time to find a replacement before budget cuts come in at the end of the year. With this on the horizon, the next appointment by BBC director-general Lord Tony Hall is of great importance and will shape how the BBC go forward in the immediate future in their new climate, under increasing competition and amid growing conversation over licence fees. One of Cohen’s highest profile decisions whilst at the helm stemmed around the sacking of former Top Gear presenter Jeremy Clarkson, another notable BBC departure this summer. Clarkson’s exit from the BBC and subsequently his colleagues Richard Hammond and James May has heralded a new era of broadcast. Their new show is to be broadcast on Amazon Prime, a true mark of the changing patterns of TV, the shift towards higher amounts of online and digital media content, and although the new programme will also be broadcast on more traditional linear formats, the fact that such high profile talent can be drawn away from more mainstream broadcasters speaks volumes about times to come. In the wake of their departure, eagerly anticipated is the arrival of BBC’s new format of Top Gear. With Chris Evans already announced to replace Clarkson, the new team and concept is a big chance for the BBC to make a real statement amid recent perceived disappointments. 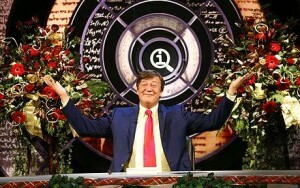 The BBC have also moved quickly this week to replace yet another institution, in the form of QI, and the departure of it’s much loved presenter Stephen Fry after 13 years hosting the panel show since its very first pilot episode. Danish comic Sandi Toksvig has been quickly installed to take over from Fry after herself standing down as chair of BBC Radio Four’s The News Quiz earlier this year following a 10-year run. The show’s creator John Lloyd said Fry’s departure marked the ‘end of an era’ – but that Sandi’s role as the first woman to host a mainstream British comedy panel show was ‘overdue’. The long running BBC and ITV battle over the prime time Saturday evening slot continues, with both Strictly Come Dancing and The X Factor undergoing summer make-overs in the aim to claw back dwindling viewing figures by refreshing contestants, judging panels and presenters alike to appeal to a slightly re-energised younger audience, with ITV poaching Rita Ora from The Voice. Sky have launched a new music and comedy panel show titled ‘Bring the Noise’, as they too compete with rival shows having taken Ricky Wilson in turn from the Voice and Nicole Scherzinger from the X Factor. Recent reports also suggest that the Voice is on the verge of being recommissioned and re-vitalised as the BBC look to bite back, by maintaining Strictly’s dominance, with recently returned popular series the Apprentice and seeing ever increasing success of the Great British Bake Off. Whatever the outcome, it is clear to see that right now in the broadcast world competition is intense and broadcasters are now more than ever prepared to make big decisions and changes to shake-up existing shows, create new content and invest big in talent in the aim of coming out on top.